In just three weeks, on Veteran’s Day (11/11/11), we will be holding a special event which will benefit the Wounded Warrior Project. The event is called Sound Off for Veteran’s Day and it will take place at Champion’s Sports Bar in Highspire, PA. It will feature great live entertainment as well as a dinner buffet and raffle for ticket holders. Purchase a Ticket. This is the absolute best way to show your support. Tickets for the benefit are $20 per person (21 and over) and are necessary for access to the early portion of the show, starting at 5:00pm. Live entertainment will be provided by a diverse range of acoustic music. A complimentary buffet and soft drinks will be included from 5:00 until 8:00pm. Ticket holders will also receive 10 free raffle coupons and additional coupons will be on sale (3 for $5). If you arrive at this time with an authorized clothing item for the YWCA Homeless Vets Clothing Drive, you will get an extra 3 raffle coupons (13 total). At 8:00 we will raffle off the many valuable donated items. Ticket holders will also be invited to stay for the later concert portion of the benefit at no additional cost. Stop by Champions and Enjoy the Show. The latter portion of the benefit is open to the public after 9:00pm for a $5 cover charge. If you arrive at this time with an authorized clothing item for the YWCA Homeless Vets Clothing Drive, the $5 cover charge will be waved and you will get in for free. Make an Online Donation. Simply click on the black “Make a Donation” box on the top right of this page and you can donate in honor of a veteran you know and love. Donate an Item. If you have an item of value which you’d like to donate for our raffle, please contact Chris Nelson via email nelsoncl36@hotmail.com in the very near future. Your donation may be tax deductible. Spread the Word!. If you think this is a worthwhile and valuable cause, please help out by telling everyone you know. We don’t have a tremendous advertising budget, so word-of-mouth is the most effective way to let people know what we are doing. Please check out this website vets.cygnuswave.com for more information. Tickets can be purchase at the site until October 25th, or email ric@33dimensions.com within the next week or so. We are proud to announce that BigBlueBullfrog.com received national press credentials for New York City Comic Con, which took place last weekend in “Gotham City”. This included access to the authors, creators, artists, and celebrities during a press-only session last Thursday, October 13th. The site continues to rapidly grow and more expansion is planned in the very near future. The seasonal Halloween attraction, Carnival of Souls is up an running and going strong each weekend (Fri-Sat-Sun) until Halloween with a special Monday night session. The attraction is custom built, with all original props, characters, and storyline and is open to thrill seekers of all ages. As Classic Rock Review gets close to wrapping up its 45th anniversary look at the albums of 1966, it has started to incorporate music videos into several reviews, for a richer user experience. Beyond the regular album reviews, the site will soon begin to have “special features” which will touch on important aspects and events of Rock and Roll. Modern Rock Review recently celebrated its first birthday on October 10th and many plans are being pursued for a site upgrade in 2012 are currently being discussed. The site will continue offering in-depth profiles through the rest of 2011. I originally intended to publish this newsletter two weeks ago as the “NFL Kickoff Edition”. But then much of Pennsylvania was hit by a natural disaster and my friends and neighbors were hit by devastating flooding which affected the lives of thousands of people in northern and central Pennsylvania. So in the big picture, games like NFL Football seemed minor compared to the everyday lives and livelihoods which were turned upside down overnight. 33 Dimensions prides ourselves on being champions of local small businesses, artists, and entrepreneurs, which we believe will be the true engine that brings backs the American economy. We also understand that, in a natural disaster such as this, these small businesses are the ones that take the hardest hits, which may be more easily absorbed by larger companies. 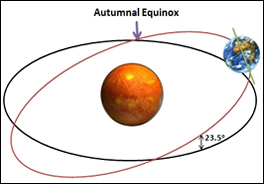 So today as the sun crosses the equator, heading south for the winter, we ask you to support local businesses whenever possible. You may be pleasantly surprised by the superior products and services that your neighbors have to offer. Finally, we ask that you keep these flood victims in your thoughts and prayers. If you’d care to make a financial donation you can contribute to the United Way fund listed below or to many other fine organizations which are dedicated to helping the flood victims. To make a donation online, visit uwcr.org. For a limited time in 2011, we are offering extra special deals for small businesses and individuals in Northeastern and Central Pennsylvania. It is our small way of helping our neighbors rebuild and get back on their feet. Of course, our service, quality, and dedication to your custom needs will remain at 100% throughout all phases of your project. For more info, please check out our Services page. 33 Dimensions is also extending many of the Summer deals into Autumn and offering consulting services where a representative will sit down and personally answer any and all your questions about establishing a web presence. Here we’ll give you an honest analysis of what your business or organization needs, even if it is a service or specialty that 33 Dimensions does not offer. Please call (717) 829-4221 for more details. The extensive redesign of BigBlueBullfrog.com is complete! Along with all the great articles, reviews, and works from the past, the sight now features regular articles including the observations and rants of The Cultural Communist, the weekly NFL football analysis of Tuesday Morning Tailback, and a brand new political column which debuted today called The Soul of the Nation. Big Blue Bullfrog also recently launched its Twitter Feed. The seasonal Halloween attraction, Carnival of Souls opens in just one week on Friday, September 30th in Mountaintop, PA. The attraction is custom built, with all original props, characters, and storyline and is open to thrill seekers of all ages. 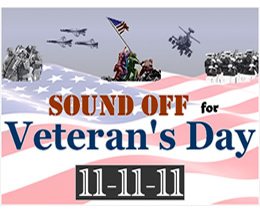 Sound Off for Veteran’s Day will take place on Friday, November 11th at Champions Sports Bar in Highspire, PA. This benefit concert will feature excellent live entertainment through the afternoon and evening with all proceed benefiting the Wounded Warrior Project. Tickets will be on sale within the coming weeks and will include a dinner buffet and a chance to win some great prizes. For more info, check out the event’s website. The Perfect 5th Musical Arts Center will be celebrating its grand opening this weekend with two big events. On Saturday (09/24), The Perfect 5th welcomes the public to their facility for an open house. Then on Sunday (09/25), the school is sponsoring a master class by internationally renowned guitarist Steve Vai at the Whitaker Center in Harrisburg. A special sneak peak at the brand new design is now online at CygnusWave.com. The sight will ultimately showcase all the music in its ever-growing library with lyrics and facts about each song. The website is still being built, but at the moment all selections from Imaginary Lines 33. As Modern Rock Review approaches its first birthday on October 10th, many plans for a site upgrade in 2012 are currently being discussed. The site will continue offering in-depth profiles through the rest of 2011, including a huge feature on Lenny Kucinski in November. Unfortunately, the planned October feature on Darcie Miner has been postponed because Darcie was one the victims of the Pennsylvania flooding. Classic Rock Review continues its 45th anniversary look at the albums of 1966 with recent reviews of albums by The Beatles, Bob Dylan, The Rolling Stones, and Simon & Garfunkel. Beyond the regular album reviews, the site will also begin having special features starting in October. The Badlees have scheduled a few upcoming shows including Friday, October 21st at the Jim Thorpe Opera House in Jim Thorpe, Pa. Their song of the month for September is “Drive Back Home” from their most recent album Love Is Rain. Today is the 46th anniversary of the Apollo 11 moon landing, when Americans proved to the world that we can accomplish anything once we set our mind to it. There is no doubt that small businesses today face a sluggish economy and much uncertainty, but this may also be an opportune time to take advantage of low-cost solutions such as those we provide at 33 Dimensions. I cannot express how proud I am of my son, J.D. Cook, who just this morning let me know that he has finally completed writing his debut novel The Village Green. He started this novel three years ago while still in high school and he is now 20 and headed into his junior year at St. John’s University in New York. For those of you close to our family, you may recall the many short stories and the few novellas he wrote through his adolescent years, starting way back at age 10, a full decade ago. But this is a really big deal to us – a full-fledged, bona fide novel! It exceeds 60,000 words in length and (yes, I’m obviously bias here) it is an excellent and entertaining read. The novel does still need to be edited and, perhaps, processed through some peer review, so there is still a ways to go before it becomes an actual “book”. We are hopefully optimistic that it will be published and available by the end of 2011, maybe just in time to add to your Christmas list. In the coming months, check out BigBlueBullfrog.com (currently under construction) for much more information on The Village Green. Remember to please support local businesses, local music, and in this case, local authors! We are happy to welcome our latest client, Susquehanna Entertainment, for whom we are currently building a website. The company was founded and is operated by Terry Selders, offers management services, and is also a record label with many new projects in the works. The Tru Fear Productions site has been updated in the past week. The Carnival of Fears is a haunted attraction, featuring original characters, effects, and animatronics, which will be held in Mountaintop, PA from September 30th through Halloween, 2011. DAMES of PA recently published articles that featured Chris Nelson and The Briggs Farm Blues Festival, and they will soon be posting a feature on Hot Wing Jones and their brand new album Tanker A within a few days. This week Modern Rock Review will be publishing a feature on the New York-based power trio Fools On Sunday. Upcoming features will profile Eels, Darcie Miner, and Lenny Kucinski. Classic Rock Review continues to feature reviews of the best albums released in 1991 (now through the end of August). The most recent reviews include The Dylans, both Use Your Illusions by Guns n’ Roses, and Mama Said by Lenny Kravitz. As mentioned above, Big Blue Bullfrog is currently under construction and will be the central place for info on J.D. Cook’s novel The Village Green. The site will also be reformed as a “thinking man’s site” – a place to discuss art, music, culture, philosophy, politics, and NFL football.